The Quilters meet weekly to produce masterpieces of their handicraft. Members quilt for hire for those in need of expertise, and the quilters occasionally piece together creations of their own to sell. 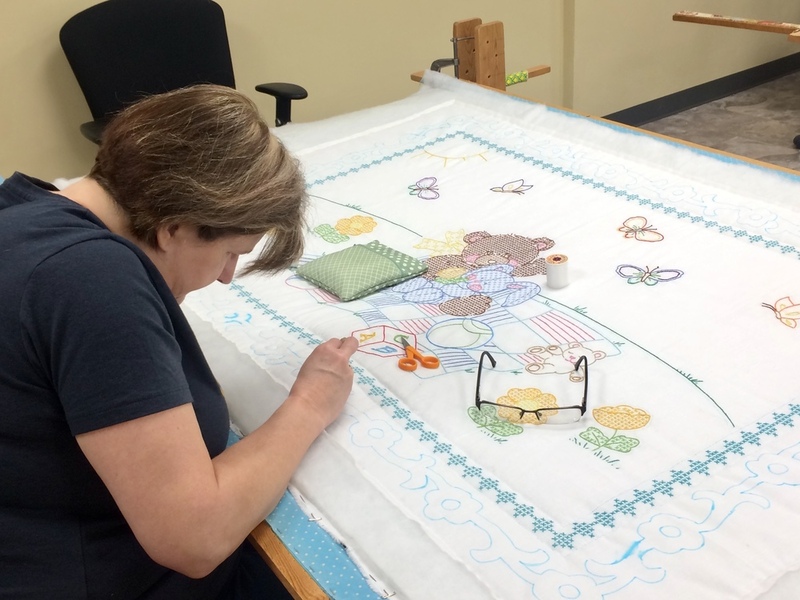 In addition, the quilters typically create a quilt to be raffled off at a parish event. Proceeds are used to provide altar linens and similar church needs. They meet on Wednesday mornings at 9 a.m. in the St. Marie Hall (church lower level) in the Lourdes room.